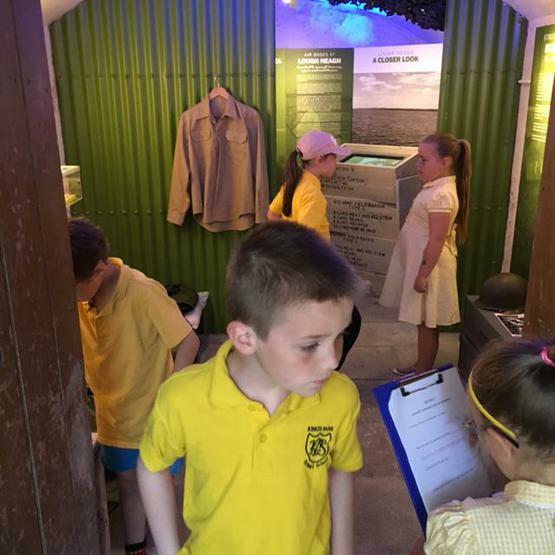 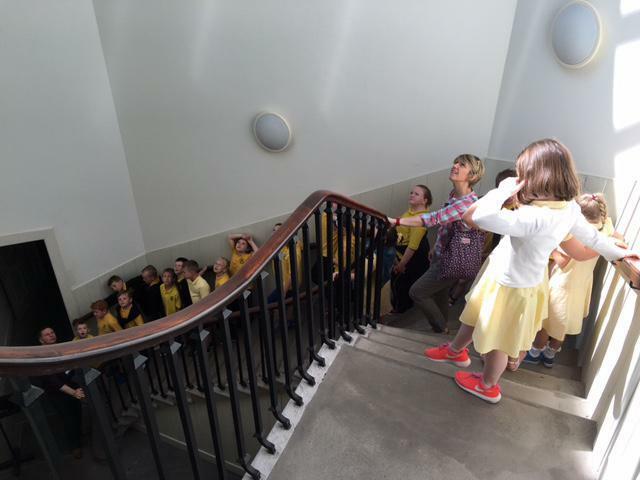 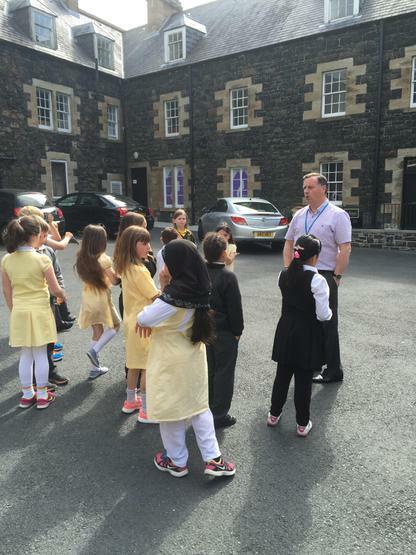 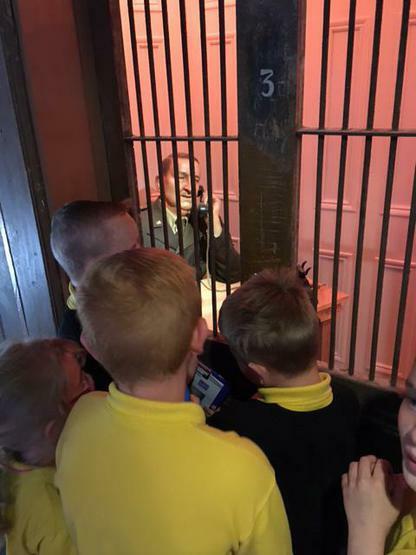 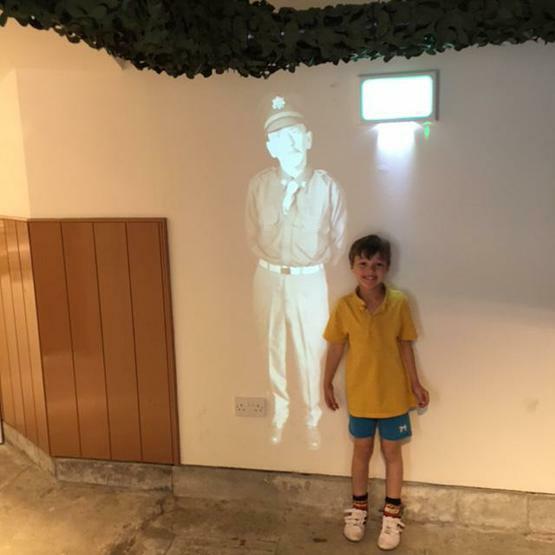 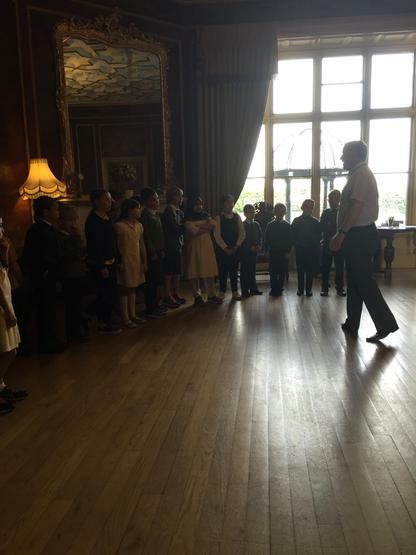 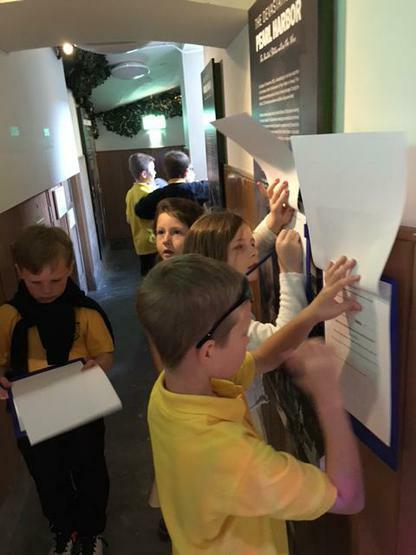 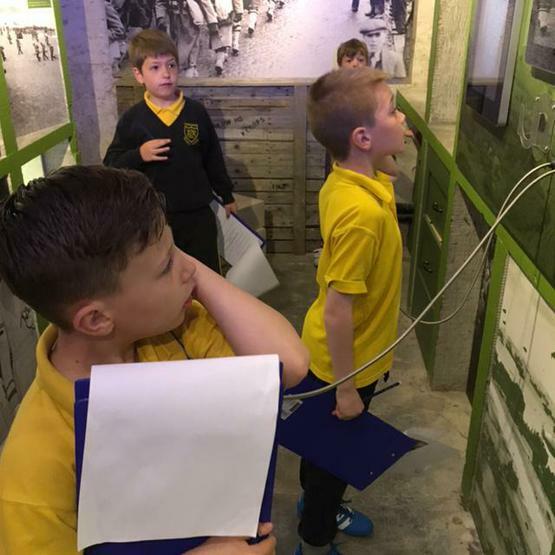 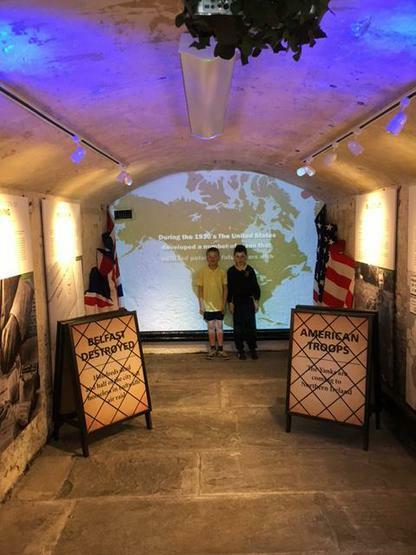 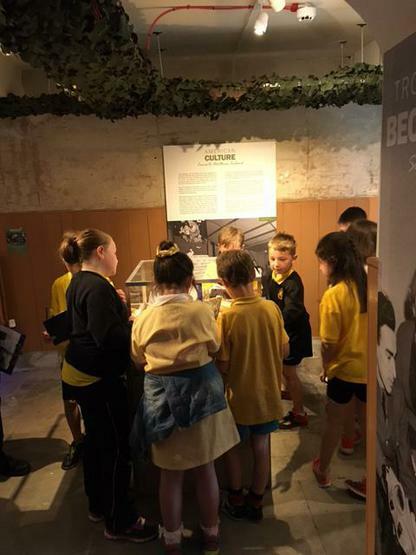 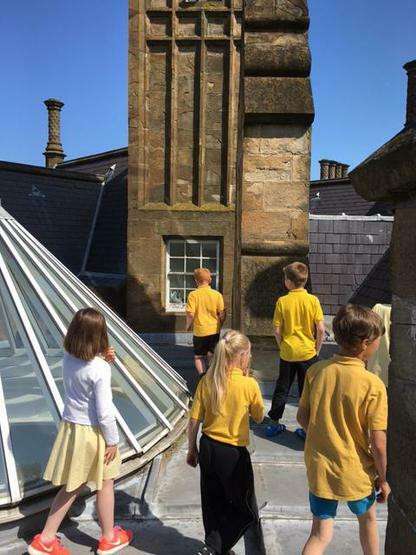 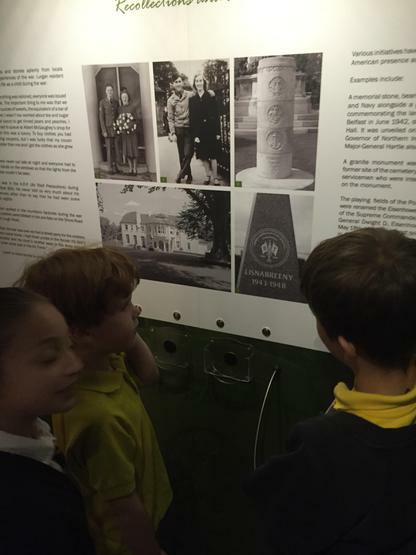 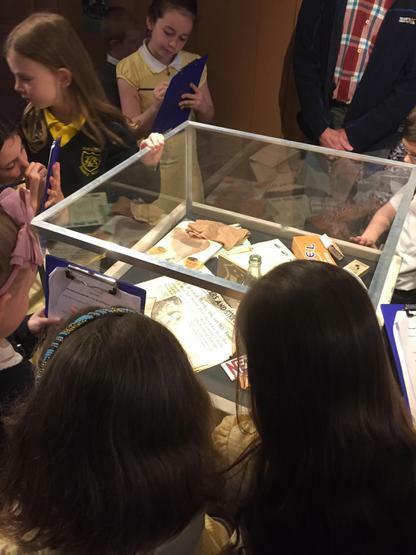 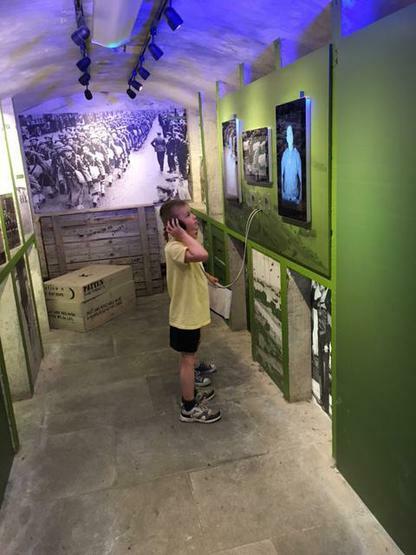 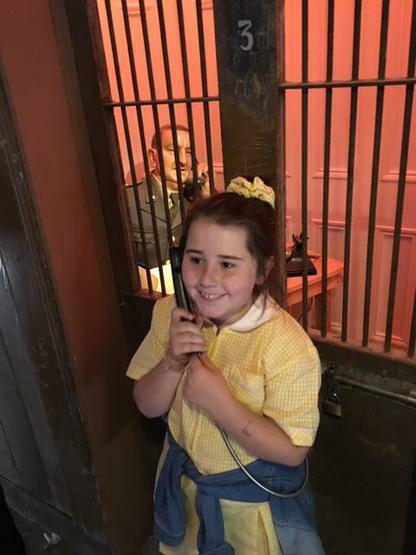 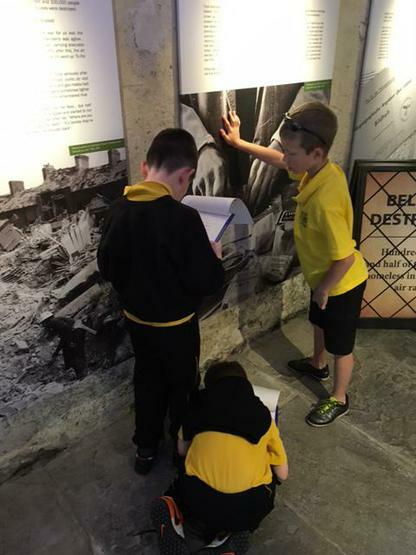 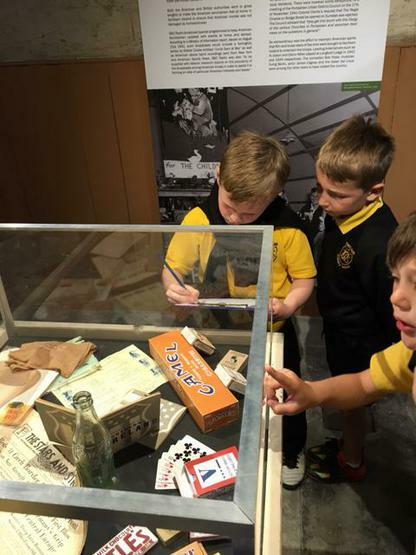 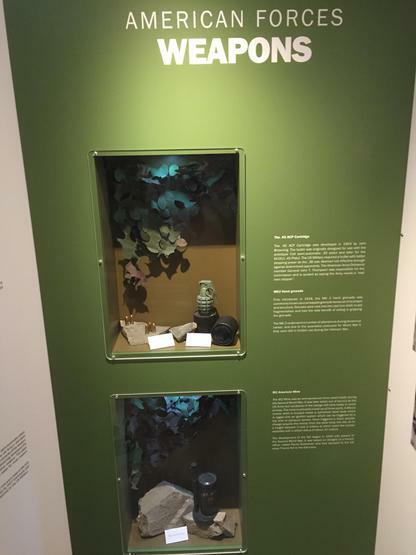 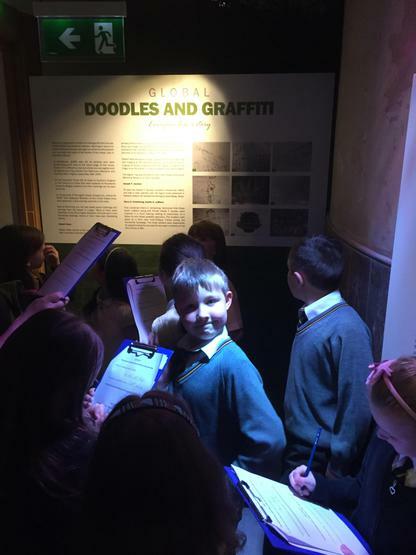 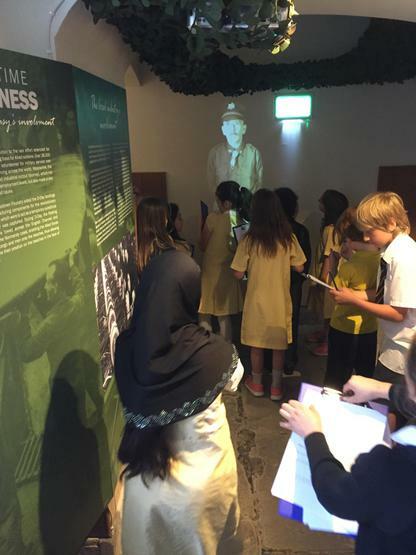 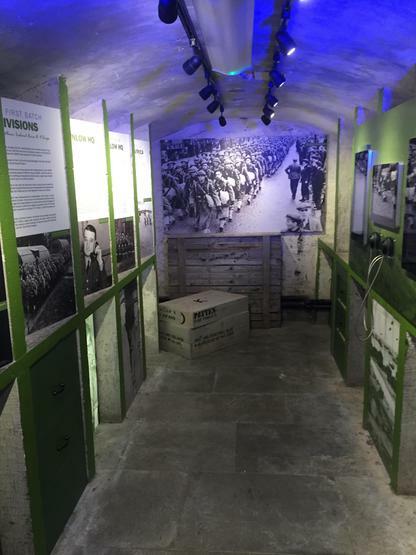 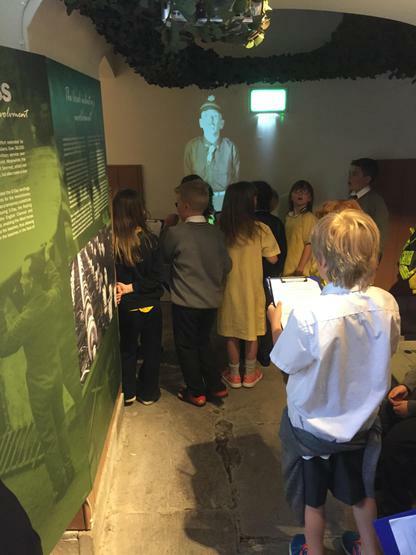 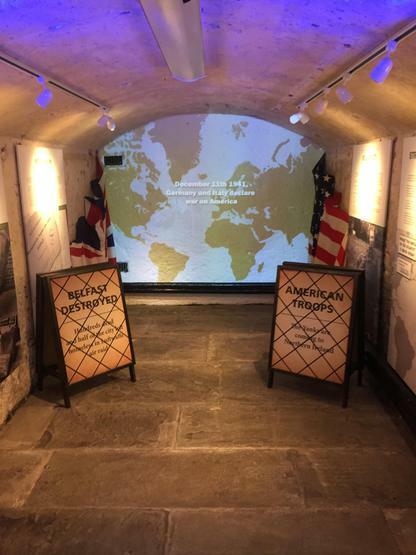 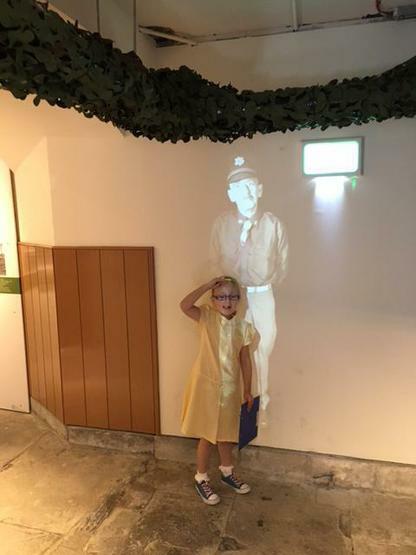 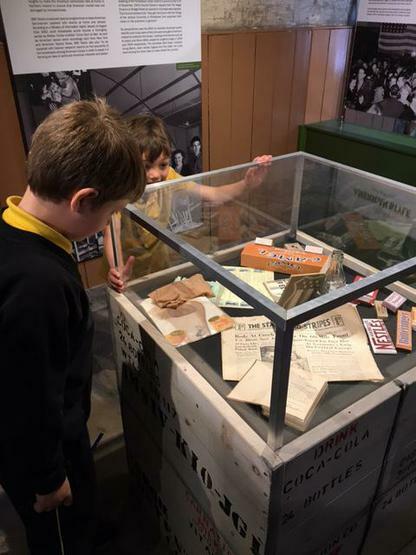 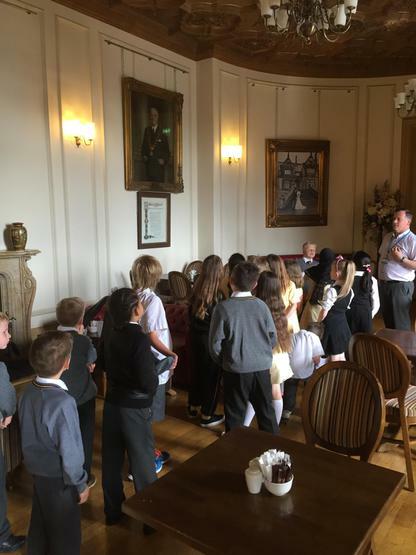 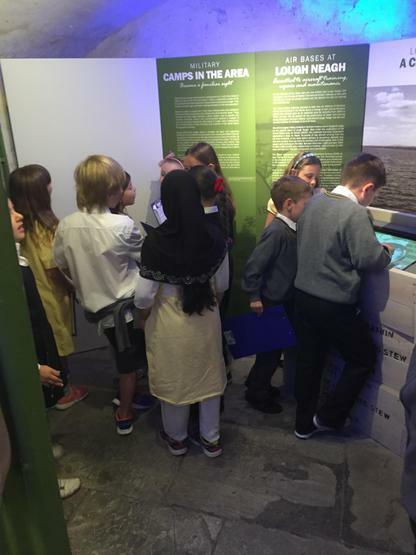 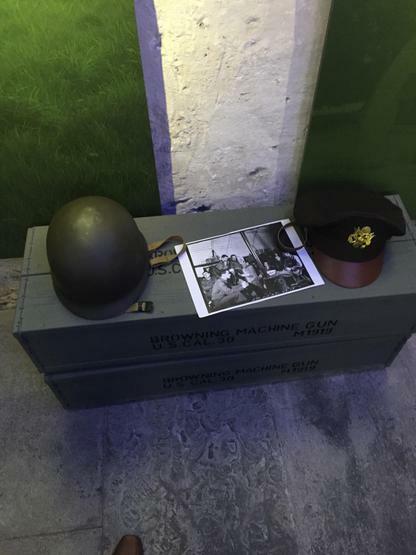 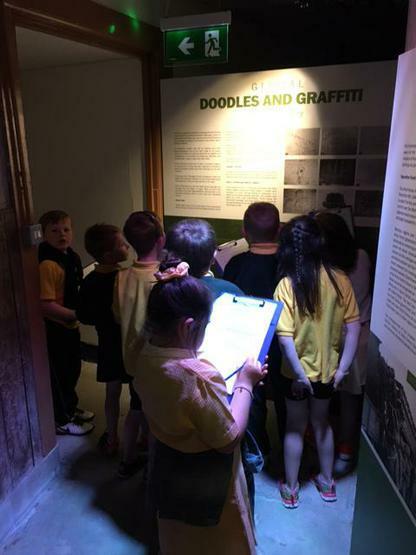 Primary four visited the WW2 museum at Brownlow House as part of our WW2 topic. 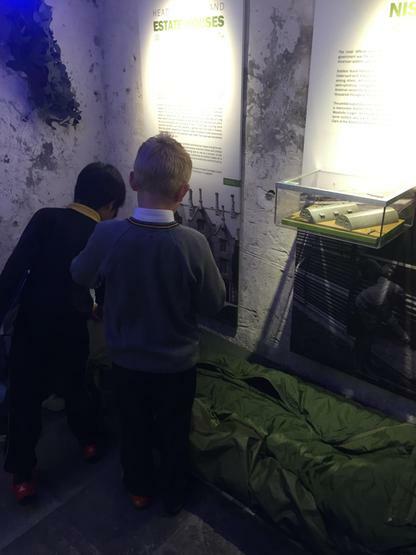 We had a great day learning about the American soldiers who stayed there during the war. 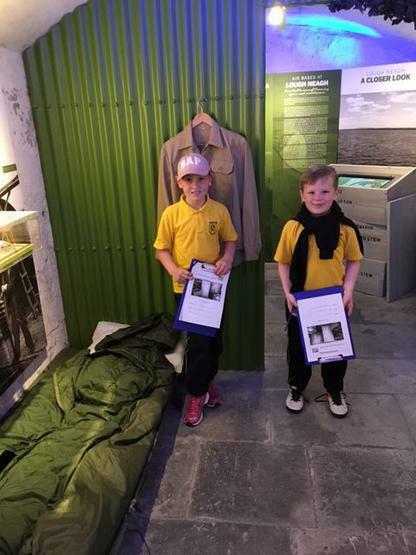 We got to see where they slept, what the wore and even what they ate. 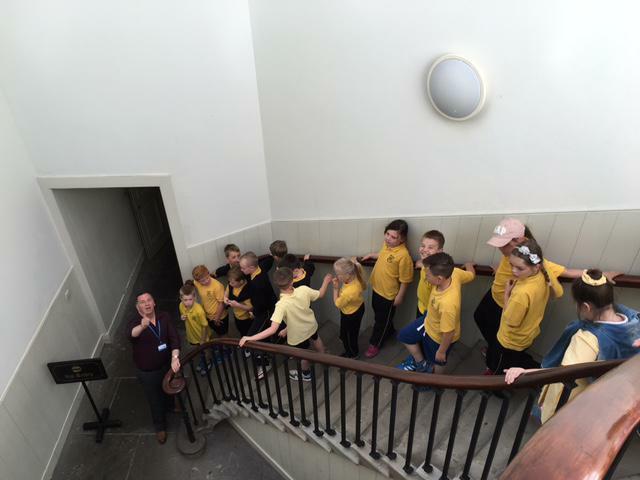 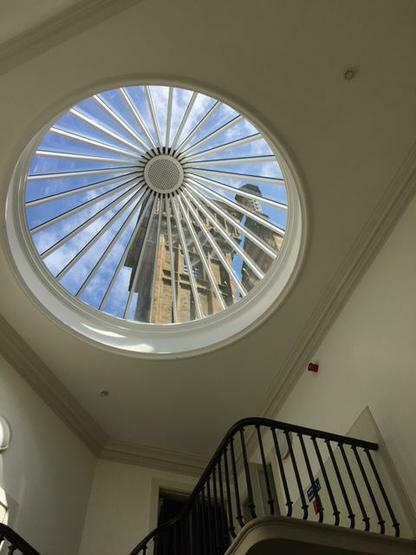 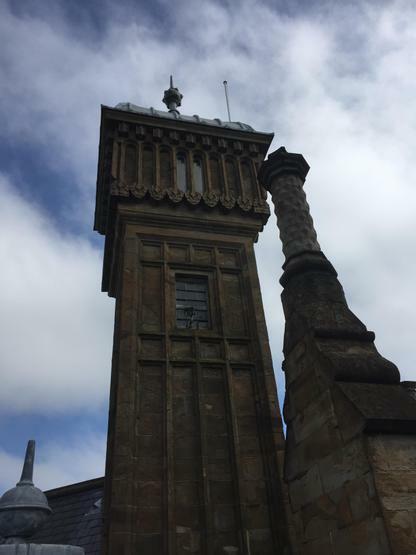 We also had a tour of the House. 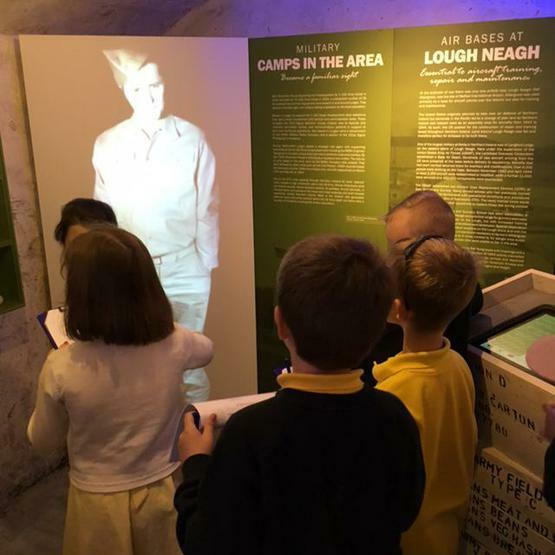 Did you know that Lurgan Park lake was actually dug out by hand using spades? 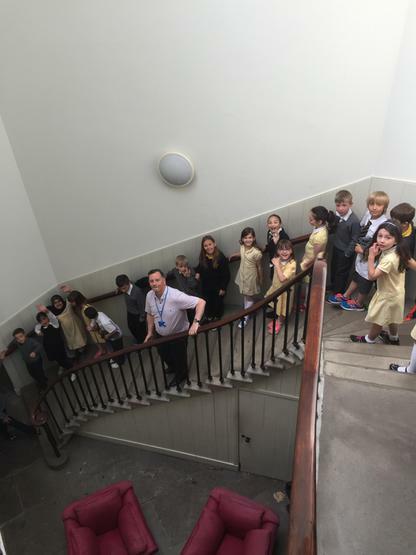 It took four whole years!! 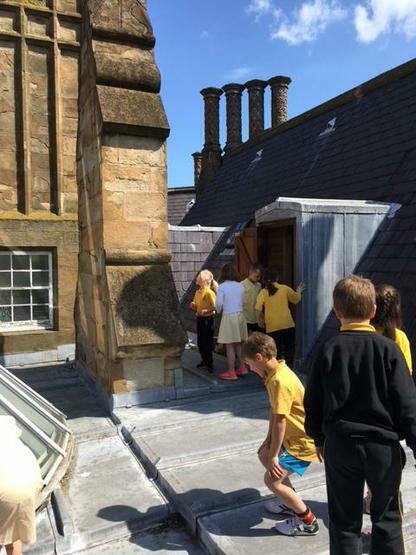 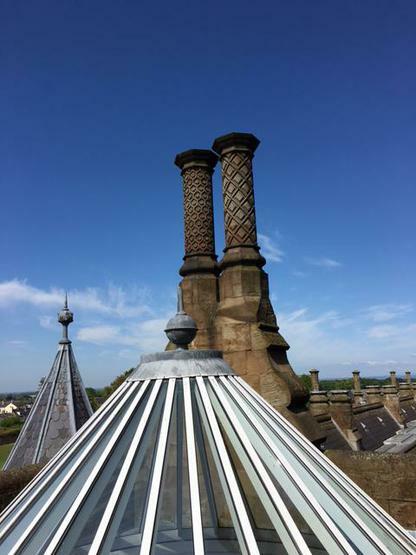 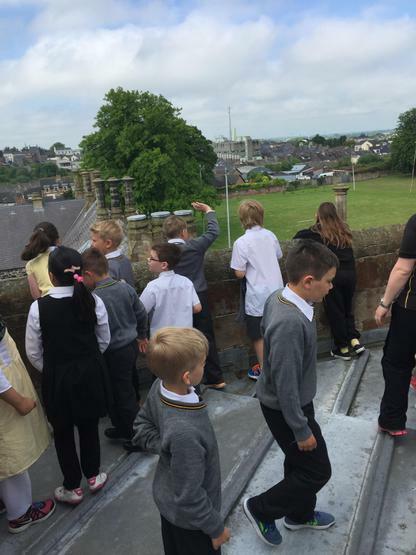 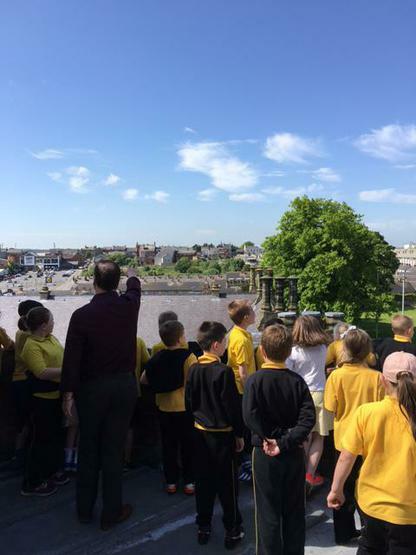 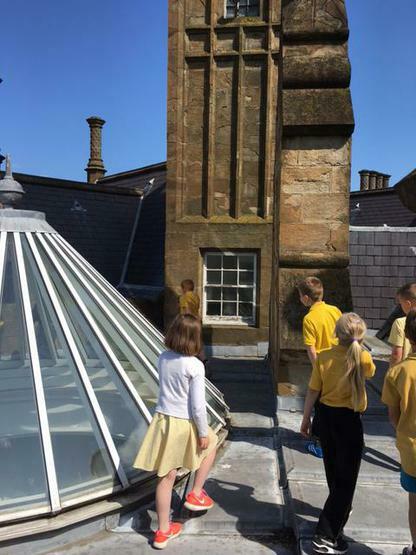 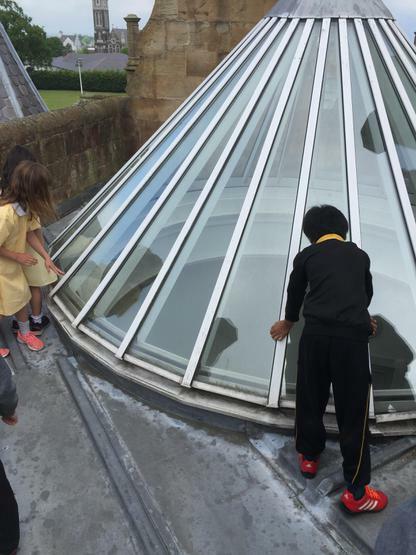 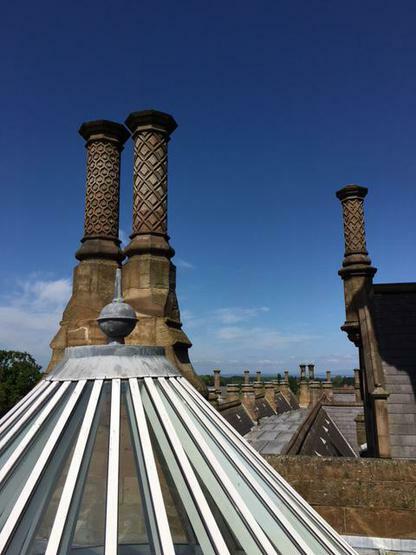 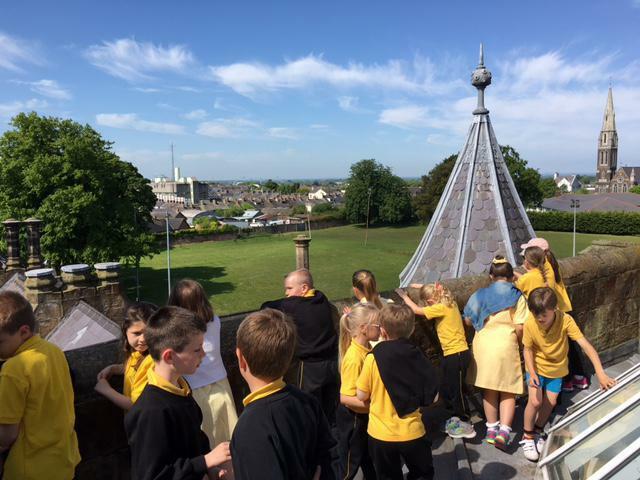 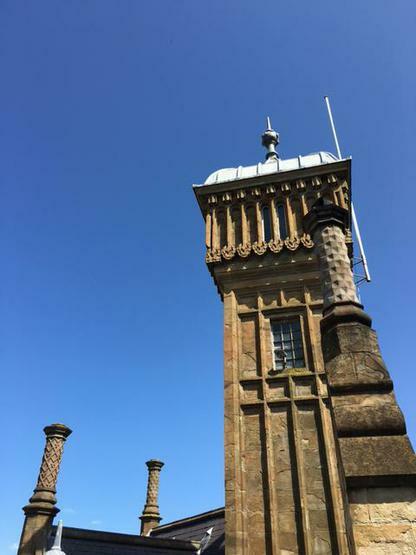 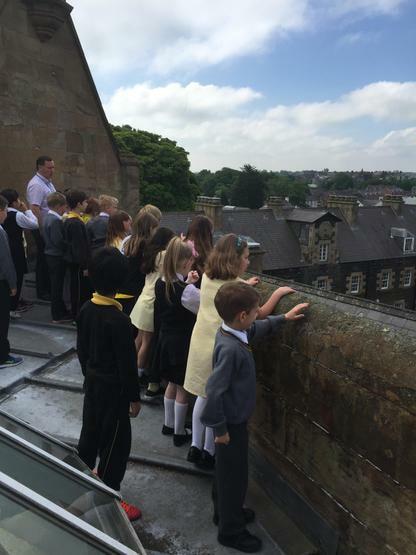 We loved going up onto the roof! 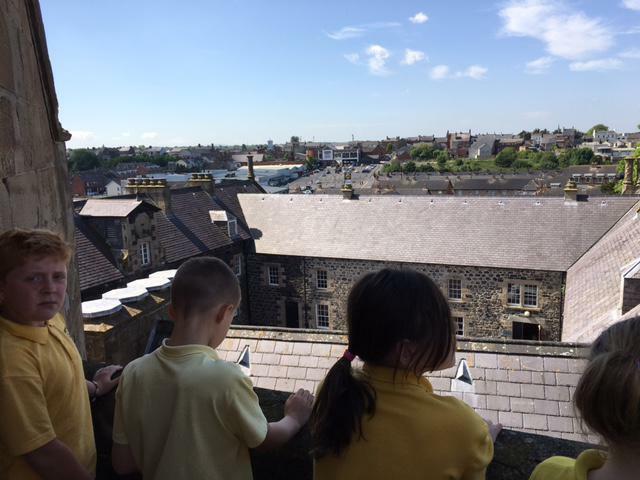 We got to see the whole of Lurgan! 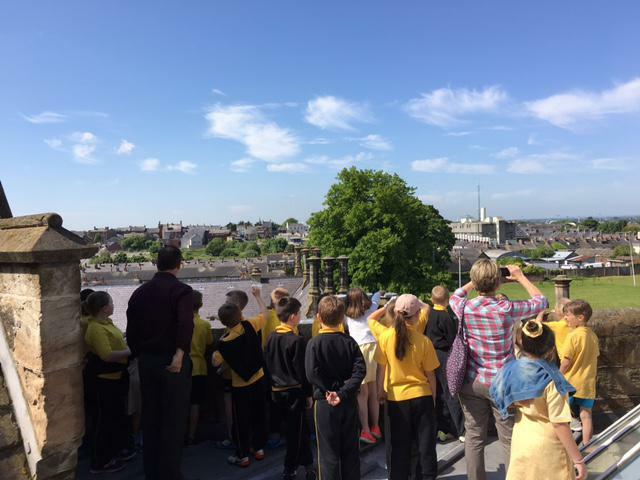 The view of Lurgan Park was amazing, especially in the sunshine! 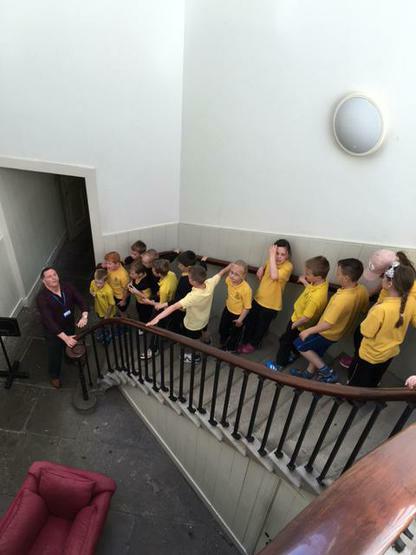 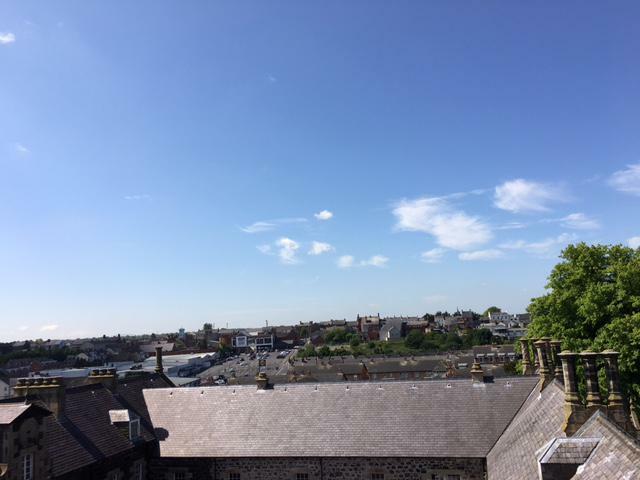 Throughout the year, we have three opportunities to visit Lurgan Town Library. 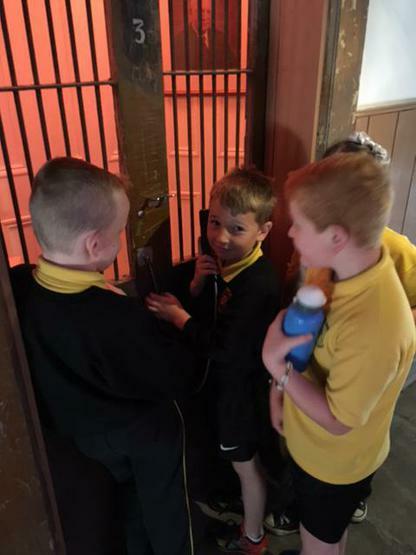 On our first visit every child was able to get their own library card, receive a tour of the facilities, learn how books are categorised into different sections and how to check out books for themselves.